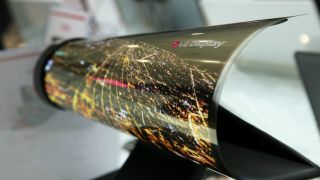 Just recently we saw a patent for a transparent, foldable phone from LG, but that’s not the only oddity the company is experimenting with, as it has also submitted not one but ten trademark applications related to a rollable phone. LetsGoDigital theorizes that ‘The Roll’ could be the name of the phone itself, while most of the other names might refer to the screen. The existence of these trademark applications isn’t super surprising, since LG has already launched a rollable TV, and in conversation with Tom’s Guide, the CTO of LG Electronics has even said that the company is experimenting with rollable phones, though didn’t go so far as to say if or when it will ever actually launch one. We suspect we’re at least a couple of years off seeing such a device made commercially available from any company. After all, foldable phones like the Huawei Mate X are only just starting to land, but this could be the next step.